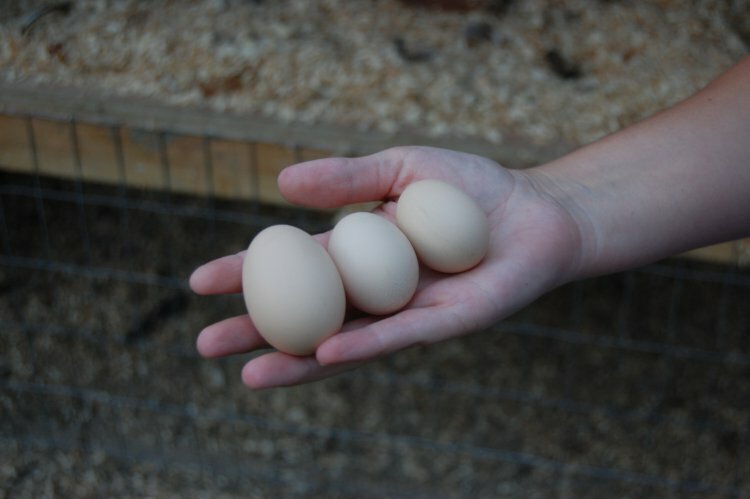 Just the other day I was telling someone that I expected our hens to start laying eggs in September. Plenty of time for us to build the dang nesting boxes that we've been putting off. 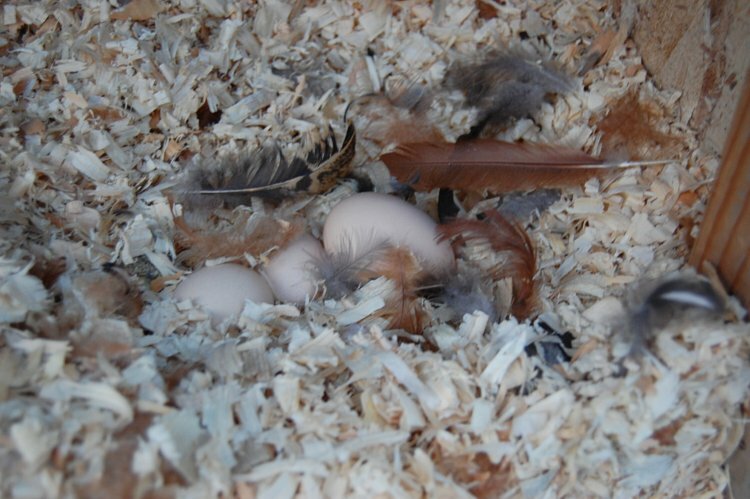 Then when I went to fluff up the coop bedding yesterday evening, surprise! Two tiny eggs and one slightly larger egg. I remember my mom mentioned once that her mom used to let her use those tiny eggs (also knows as "pullet eggs") to make mud pies with. Isn't that cute? I doubt Z-cakes would be on board with that because she's a little scared of cracking eggs. Yeah, you read right. There's no use discussing the logic behind being scared of cracking eggs, you're not going to change her mind. Anyway, having chickens is pretty rad. Yay for eggs! Those are a beautiful brown. Which chick are they from? I had no idea that they had those smaller eggs sometimes. The first time I saw a bucket of home-laid, non-grocery-store eggs was at my in-law's house. "Oh, how quaint! ", I thought. And then I saw the attendant stuck-on feathers and straw and chicken s***, and I realized with a jolt, "Holy cow! Those things came out of the chickens' backsides!" What I really mean to say, convoluted as it sounds, is that your eggs are way prettier than any other home-laid eggs I've ever met. yay for eggs! you're on your way!!! What a loverly surprise! I am very jealous, someday Mandy, someday I will too have chickens in my backyard. Also, I am totally excited for your bro. Sometime I need details. love ya!